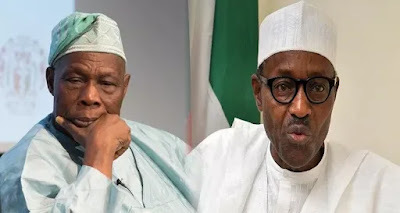 President Muhammadu Buhari has vowed to launch a probe into the $16 billion allegedly expended by the administration of former President Olusegun Obasanjo as investment in power supply and distribution in the country. He said his administration would investigate those involved in the spending and recover the alleged looted money. It will be recalled that a probe by the Ndudi Elumelu-led House of Representatives Committee on Power and Steel had in 2008 indicted ex-president Obasanjo, ex-governors Olusegun Agagu (Ogun) and Liyel Imoke (Cross River) and 14 other persons, including top management staff of the defunct Power Holding Company of Nigeria (PHCN) and Niger Delta Power Holding Compan at the time for mismanaging the stupendous funds allocated to power sector development, which the committee put at $13.28bn. Both Agagu and Imoke were ministers of power during Obasanjo’s tenure. The House Committee recommended that the anti-graft body, the Economic and Financial Crimes Commission (EFCC), should go ahead and prosecute the indicted persons. Last year, apparently reacting to one of Obasanjo’s constant criticisms, President Buhari had upbraided the former president for ‘blowing’ $16 billion on non-existent power, asking “where is the power?” There was report that EFCC had in May 2018 begun a forensic investigation into the alleged wastage of billions of dollars on the power sector during the Obasanjo era with little impact on power supply in the country. A team in EFCC was said to be already collating facts and figures. An inside source said the scope of the investigation includes the total cost of the projects, how much was withdrawn from the Excess Crude Account (ECA), the total number of contracts awarded, the extent of compliance with due process and the status of the execution of all the projects. “We are looking into all the allegations and issues surrounding the power projects. “We will conduct a comprehensive and forensic probe to ascertain the true status of all the projects. This investigation will actually ascertain how much has been spent so far.